On Sunday June 17, Crown Fine Art lent its support to one of the most unique charity fundraisers in London’s social calendar. The National Society for the Prevention of Cruelty to Children's (NSPCC) “Evening at the River Café” is always a magnet for celebrities and many of the U.K. capital’s most influential people from the world of art, fashion, food, design and business. This year was no exception. In total, more than one million pounds was raised on the night for the NSPPC through donations and a grand auction of art and experiences. Crown Fine Art donated their time to support the event by offering to transport, store and install a Harland Miller artwork – a key auction prize for the evenings fundraising event. 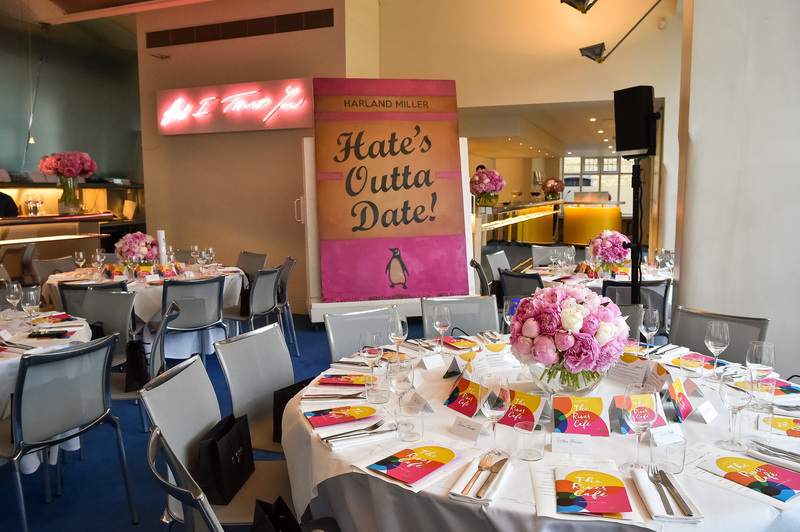 The event was organised by the NSPCC’s impactful Rebuilding Childhoods Board, chaired by Diala Khlat and hosted by River Café owner and chef, Ruth Rogers, with TV star and children’s author David Walliams as master of ceremonies. Also in attendance among the 130 guests were artist Jonathan Yeo and photographer Mary McCartney. The money will be used by the charity to help the tens of thousands of children and teenagers who have experienced sexual abuse and to address the urgent need to keep children safe online. In particular, the funds will support “Letting the Future In”, a therapeutic programme available in NSPCC service centres around the country that aids recovery by encouraging young people to explore their thoughts and feelings through acting, writing, storytelling and art. Funds will also go towards the NSPCC’s online safety projects to help change laws and regulations that will safeguard all children online.